If you clicked on this link with a thrill in your veins, then I have two guesses about who you are: (1) You are a planner junkie like me, and (2) You love Coffee Bean & Tea Leaf, like I do, too! Well, I've got two surprises for you today! First, I'll give you an inside look at the pages of CBTL's anticipated planner, The Giving Journal 2018. Second, I'm going to give it away!!! Oh, happy day! 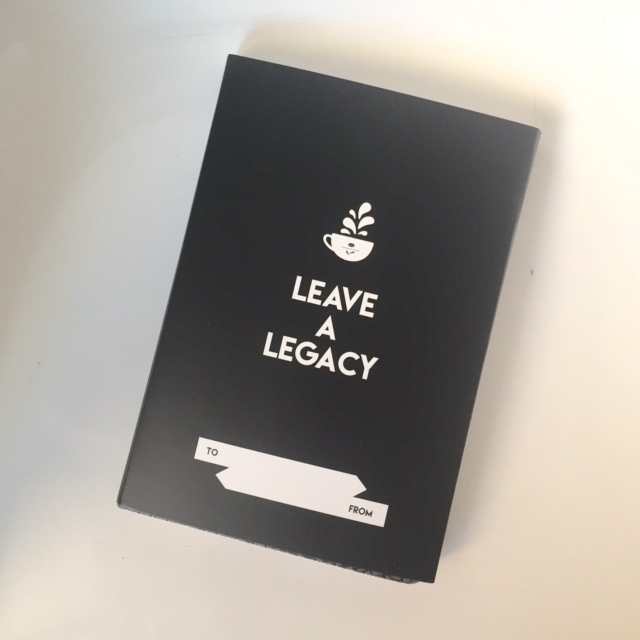 CBTL celebrated the 10th anniversary of The Giving Journal with a special theme: Leave a Legacy. 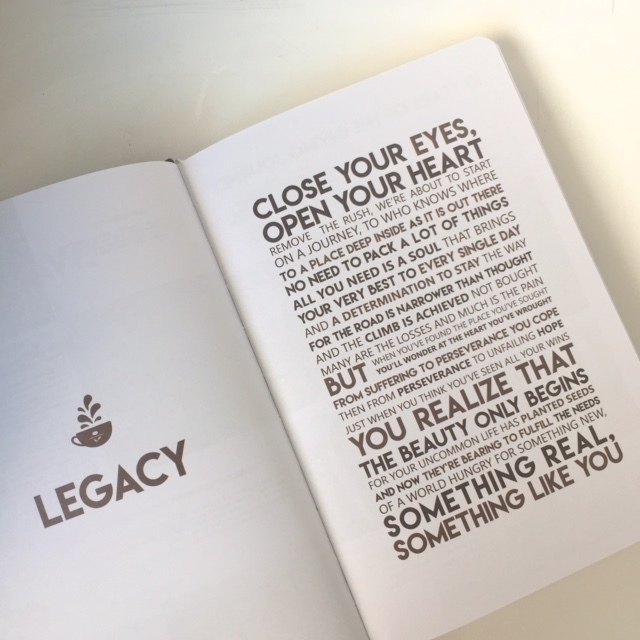 The coffee company wants to encourage and empower everyone to live a life of purpose, excellence, and service—that's the kind of legacy all of us should have! 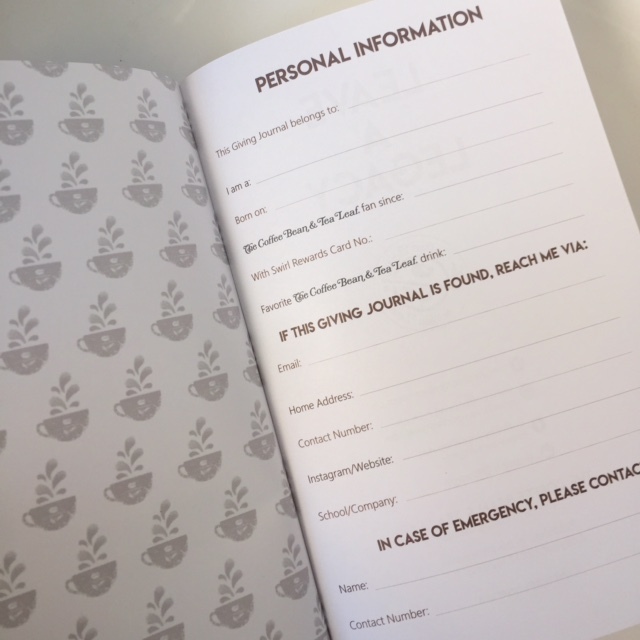 Being equipped with a great planner like The Giving Journal will help make us stay on the course. When you write down your dreams, goals, inspirations on top of the daily tasks and important details, it truly is easier to live a meaningful life. I like that there's a poem inside! Life should have poetry. 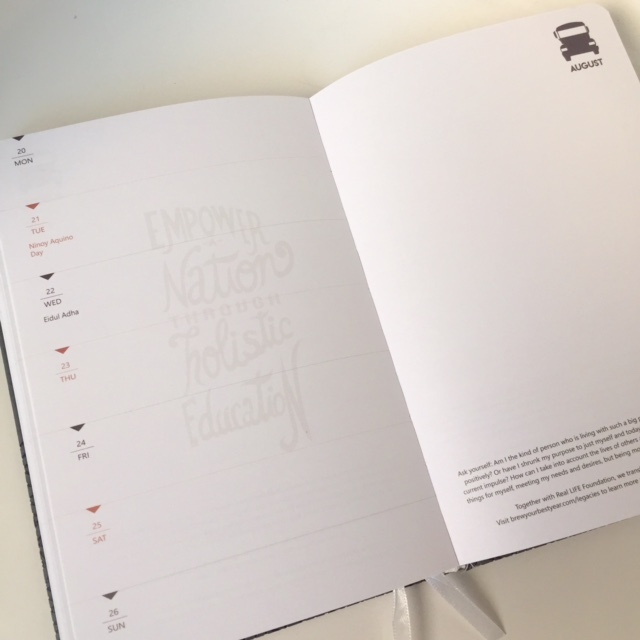 Advocacy info: The Giving Journal supports The Real LIFE Foundation, which helps less fortunate Filipinos get an education. 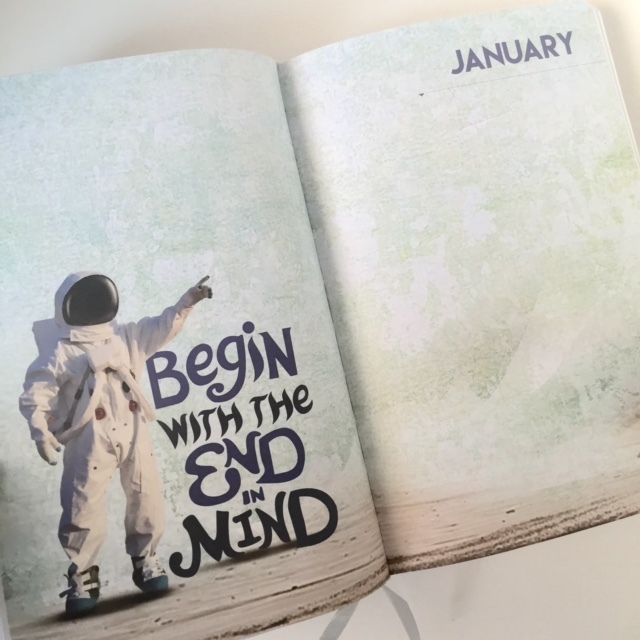 Every month starts with an artwork and an exhortation to succeed. 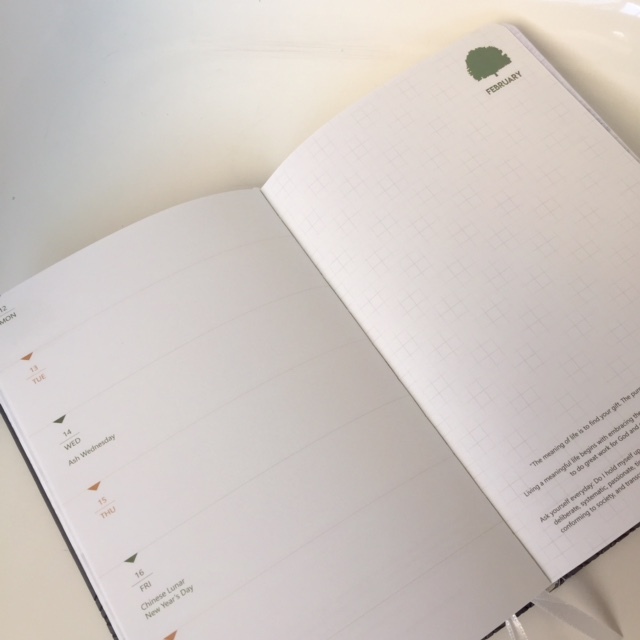 The weekly planner comes in two layouts: blank and grid, with inspirational notes, too. 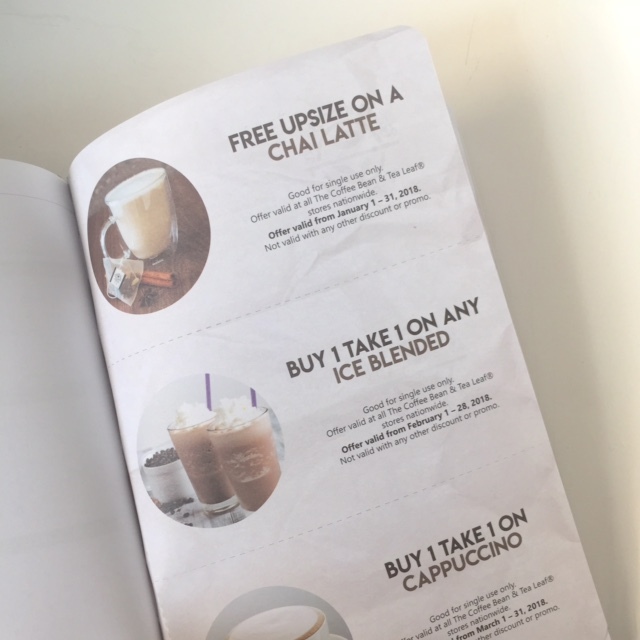 The front and back of the planner have sheets of coupons for great deals on food and drink at CBTL. At the back is a roomy pouch with stickers. There ought to be MORE stickers! 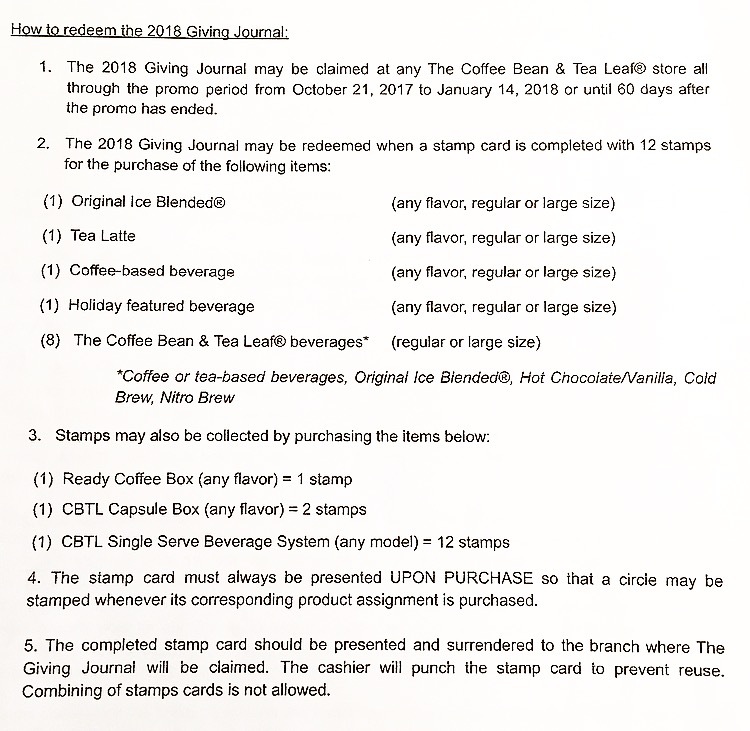 To get The Giving Journal 2018, just go to any CBTL shop and buy a drink, a Ready Coffee box, a CBTL Capsule box or the CBTL Single Serve Beverage System to collect stamps. 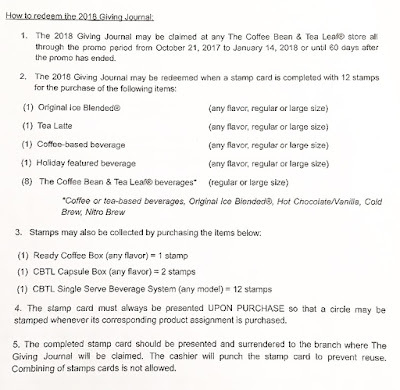 Just 12 stamps and you get The Giving Journal 2018 for free! Or you can have mine! I'm a bullet journalist (for two years now!) so I make my own planners. 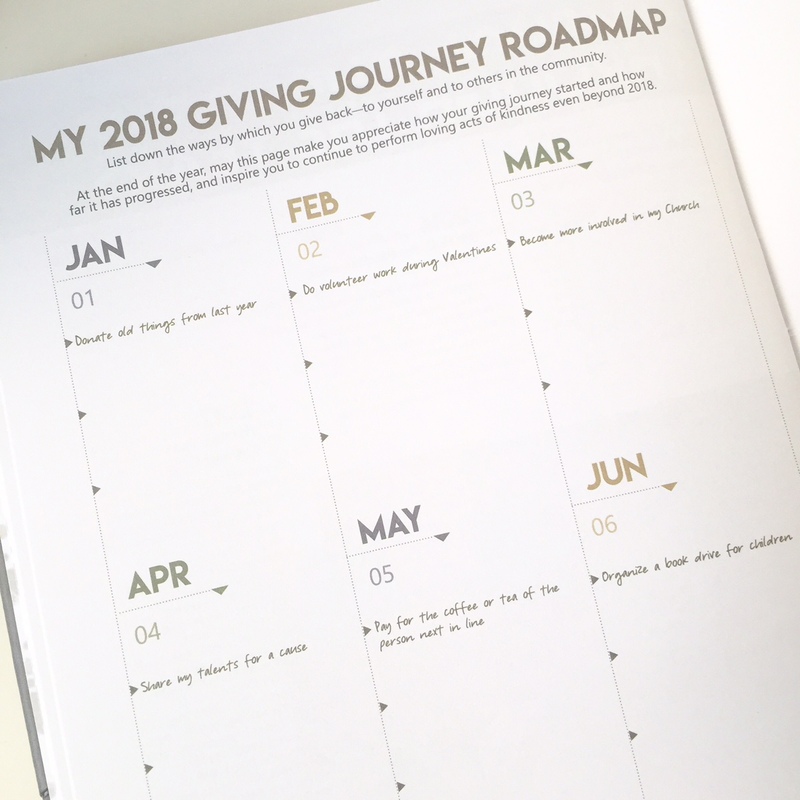 That's why I'm giving away my own copy of The Giving Journal 2018!!! 1. Just post a photo of you and your family on your Facebook or Instagram. Why a family photo? So I know you're a mommy! Doesn't matter if you're a working mama or not—in my opinion, every mom is a working mom. 2. 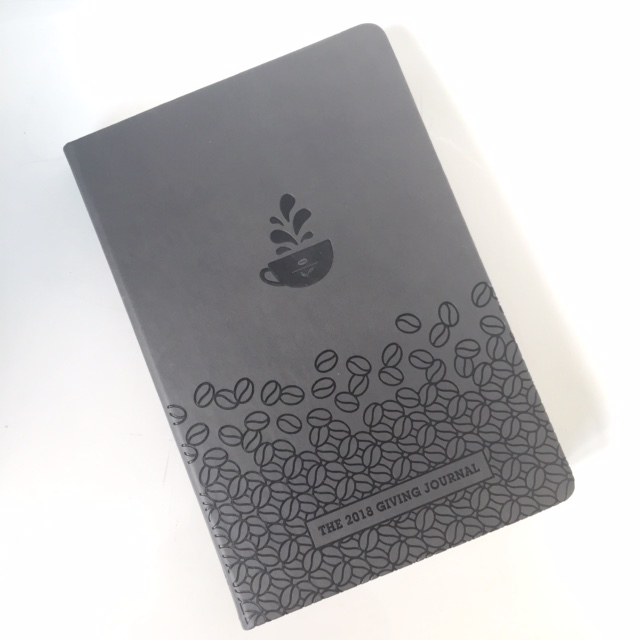 Write this to accompany the photo: "To win the 2018 Giving Journal of Coffee Bean & Tea Leaf from Topaz Horizon, I must share the legacy I want to leave. I want my legacy to be... [answer here]. 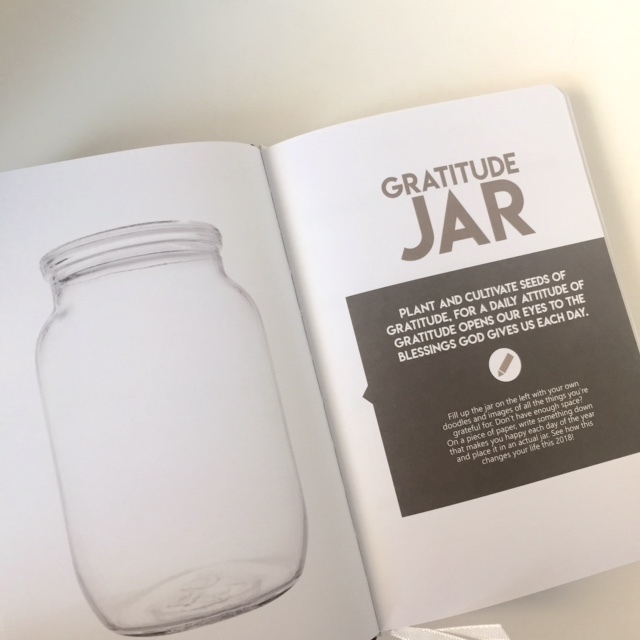 http://www.topazhorizon.com/2017/10/peek-inside-cbtls-giving-journal-2018.html"
3. So I can easily find your FB/IG posts, use this hashtag: #THGivingJournal2018Giveaway. 4. I guess it will also help if you tag me! I'm @TopazHorizonBlog on both FB and IG. I'm going to randomly pick the winner so there's no need to ask for likes or to post an entire essay. I'll announce the winner one week from now, so that's October 29. Winner must have an address that Xend ships to. Please please please give a real address because I've had many packages sent back to me because the winner refused to give their correct address (for security purposes daw). 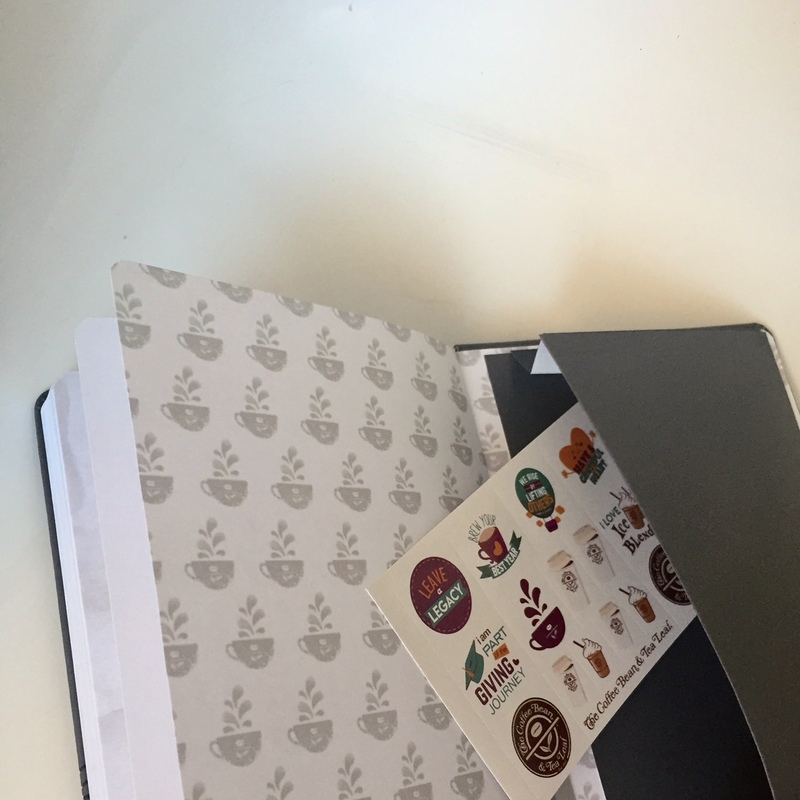 The winner can also either pick up the planner (and meet me!) or authorize someone else to get the planner. That's it! Good luck, mamas!